1. 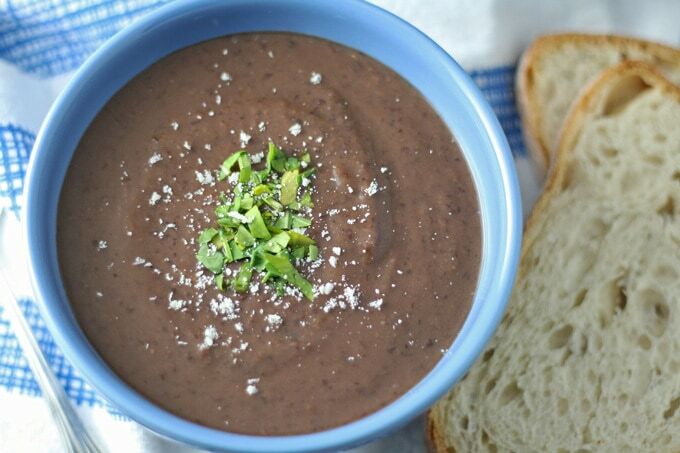 Black Bean Soup - This super easy, 3-ingredient soup is loaded with protein and flavor. When prepared with vegetable broth, the soup becomes vegetarian and vegan. This soup is easy to throw together when I come home from the gym and is ready in about 20 minutes. Find the full recipe here. 2. 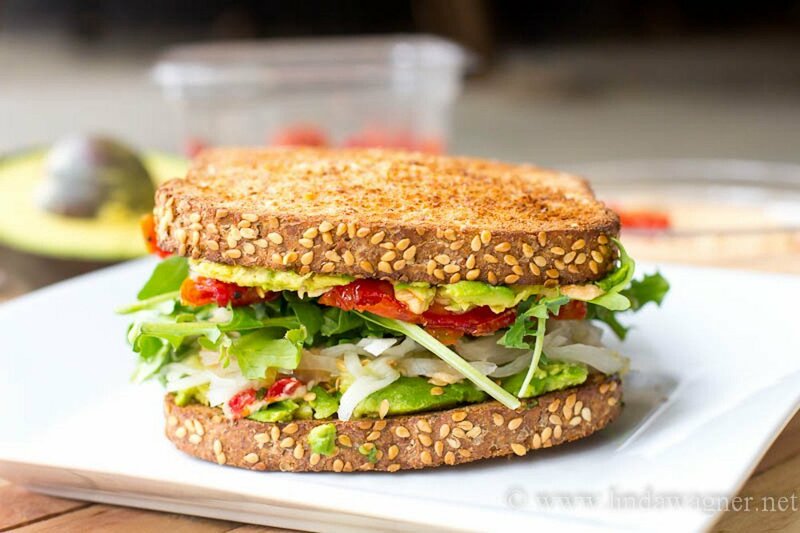 Hummus, Avocado, and Sun-Dried Tomato Sandwich - When I became a vegetarian, I feared that sandwiches would never be the same. Boy, was I wrong. I don't miss the meat when I can fill a sandwich with hummus and avocado slices. This is my favorite bread for making hearty vegetarian sandwiches. Find the full recipe here. 3. 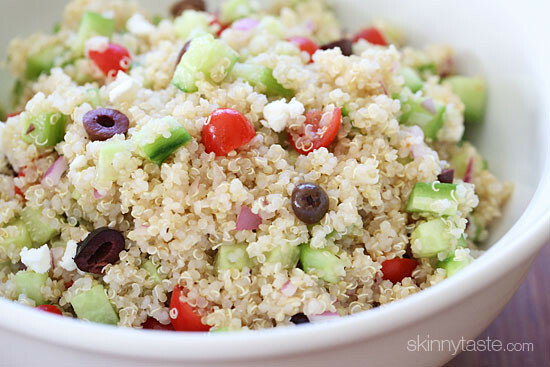 Mediterranean Quinoa Salad - Although I love every ingredients in this simple but tasty salad, you can add or eliminate anything you want. The quinoa provides plenty of protein, but if you are looking for an additional protein boost, serve this salad as a side dish to grilled chicken or fish. Get the full recipe here. 4. Soba Noodles - When I am in the mood for a cold pasta, this is my go-to meal. 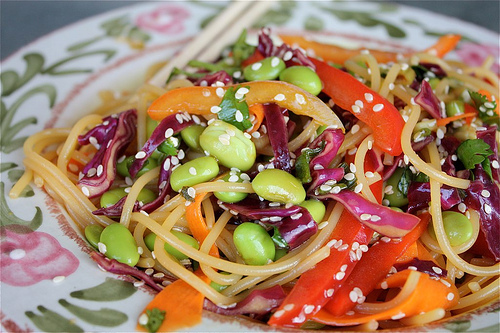 The sauce is so flavorful, and if you don't like soba noodles, you can substitute with spaghetti or even quinoa works. Get the full recipe here. 5. Zesty Tuna Salad - Tuna salad can definitely get boring fast. The keys to keeping it fresh are to put some tasty ingredients into it and to eat is only occasionally. This tuna salad recipe includes cilantro, which I love and happen to think is the most genius addition to tuna salad. But you could add any herb that you prefer to jazz up your tuna salad. Get the full recipe here. Do you have any favorite vegetarian recipes? I'd love to hear them. Please share in the comments below.